Maganbhai devipoojak took us to show his house. And doors were locked. I said ‘Please unlock your house, I would want to see how much damage has happened.’ He chuckled a little and opened his house and naturally he spoke about the reason why he locks his house. If you see the picture you will also say that. But to know about how that happened please continue reading ahead. Maganbhai lives in Umari village, near the shore of the Banas river. On their land of livelihood, the first and foremost ever flood waters of 2017 scattered all over. After water level receded, we went to see the land, that time it was tears in our eyes. They used to live in farm by building temporary structure there and that structure also was destroyed with other things. 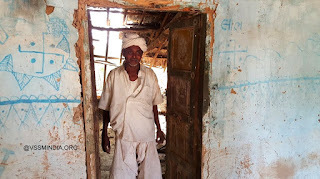 It was the only kachcha house they had in village, now its situation is also as you can see in the picture. In such a situation how will they stand up again that was the question. We started to levelling the land. But he didn’t have even a penny, and in that too he had to buy seeds for farming and even water. Maganbhai who lost his courage then got in contact with field worker(karyakar) Naranbhai through Kanubhai Raval after floods. And he gave courage to Maganbhai. We asked What help he wants he answered “Loan of Rs. 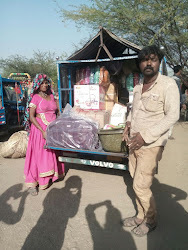 50000 and loan of Rs.20000 for his son Prahaladbhai.” Vessels, grains such basic necessary things we provided urgently. Actually floods did damage a lot but the good thing was that water levels came up in the land . So they could see water in wells, which are existing in their farms. That’s why through loan they thought of taking Rajkotiyu machine and seeds. And we gave Rs. 70,000 to them without interest. 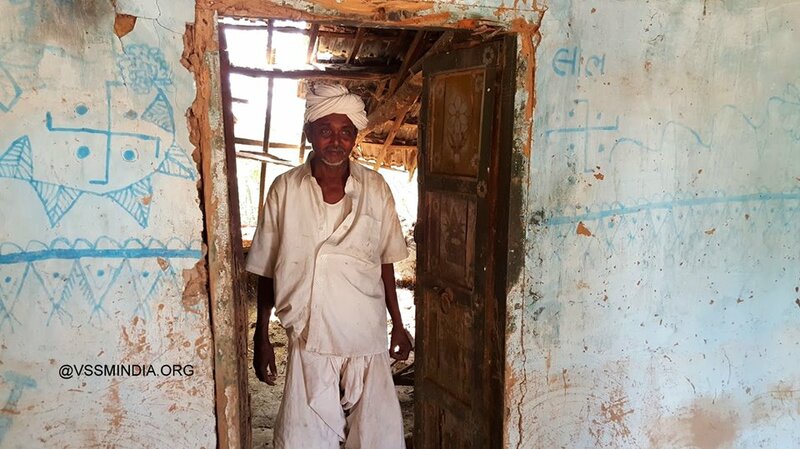 Few days back we went to Umari and Manganbhai came to meet us.While asking ‘whether the loan was fruitful for them or not?’, he said ‘ Loan did benefit a lot. If we would have taken water on credit base for farming, then we would have to give one third of our income to them. That we could save here. This time castor crop also was good and rates were fine too. So from that castor income I will pay for loan at a time. If you wouldn’t have put faith in us, then I might have faced debt pressure. It was bad that floods came but for us it’s like floods happened for good. Floods came and we met you otherwise who would care for us!! Maganbhai’s house we will build too. We have appealed to government for the help and also we will help from our side too. All stay happy, with that feeling we thank you all who have helped us in this task. મગનભાઈ #દેવીપૂજક એમનું ઘર બતાવવા અમને લઈ ગયા. ઘરના દરવાજે મોટુ તાળુ મારેલું. મે કહ્યું, ઘર ખોલોને અંદરથી શું નુકશાન થયું છે તે જોવું છે. એમણે હસતાં હસતાં ઘર ખોલ્યું ને તાળું શું કામ મારો છો તે સહજ પણે બોલાઈ ગયું. 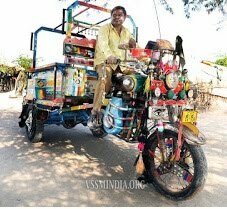 ફોટો જોશો તો તમે પણ એમ જ કહેશો. પણ આ બધુ કેમ થયું તે જાણવા આગળ વાંચવું રહ્યું. આ મગનભાઈ #બનાસના કાંઠે આવેલા ઉમરીગામમાં રહે. રોજીરોટીના સાધન સમી જમીન ઉપર પહેલાં 2017ના પુરનું પાણી અને પછી રેતી ફરી વળી. પાણી ઓસર્યા પછી જમીન જોવા ગયા ત્યારે તો આંખોમાંથી આંસુ આવી ગયા. ખેતરમાં છાપરુ કરીને રહેતા એ છાપરુ સામન સાથે જ તણાઈ ગયું. ગામમાં હતું એ કાચુ ઘર જેની હાલત ફોટોમાં જોઈ શકાય છે તેવી થઈ. આવામાં ફેર બેઠા કેમના થવાશે તે પ્રશ્ન થઈ આવ્યો. 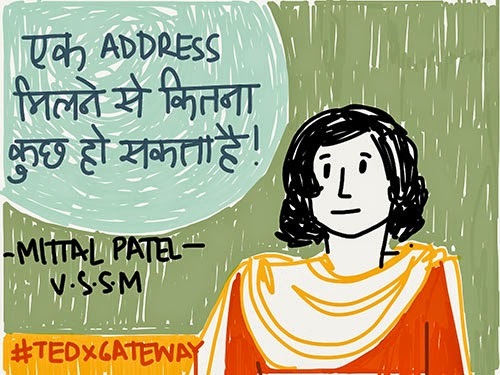 જમીન સરખી કરવા મહેનત આદરી. પણ પાસે એક રૃપિયોય નહોતો ને એમાં ખેતી માટે બિયારણ, પાણી બધુયે વેચાતુ લેવાનું હતું. જીગર હારી ગયેલા મગનભાઈનો પુર પછી કનુભાઈ રાવળ દ્વારા કાર્યકર નારણભાઈ સાથે સંપર્ક થયો. ને મગનભાઈને હિંમત આપી. શું મદદ કરીએ તેના જવાબમાં તેમણે રુપિયા પચાસ હજારની લોન આપવા કહ્યું. સાથે પોતાના દીકરા પ્રહલાદભાઈને પણ વીસ હજારની લોન માટે કહ્યું. અમે વાસણ, અનાજ જેવી જરૃરી ચીજો તો તત્કાલ આપી. મૂળ તો પૂરથી નુકશાન ઘણું થયું પણ ફાયદારૃપ જમીનમાં પાણીના તળ ઉપર આવ્યા હતા તે એમના ખેતરમાં કરેલા કુવામાં પાણી દેખાવા માંડ્યું. એટલે લોનથી રાજકોટિયું મશીન અને બિયારણ લાવવા તેમણે વિચાર્યું. અમે વગર વ્યાજે બાપ દીકરાને સીત્તેર હજાર આપ્યા. મગનભાઈનું ઘરેય બાંધીશું. સરકારમાં અરજી કરી છે એ સહાય આપશે બાકી અમે મદદ કરીશું. Nomadic communities have been moving from one place to another as part of their livelihood. Their life stops if their wandering stops. With the passage of time their traditional skills and occupations are becoming irrelevant and extinct. The new model of development has damaged the interdependent relationship of society and these communities notably. Under the livelihood program we try to make them self-reliant by providing alternate livelihood options. Karshanbhai Devipujak from Odhav area of Ahmedabad started earning Rs. 25000/- per month, where he used to earn Rs. 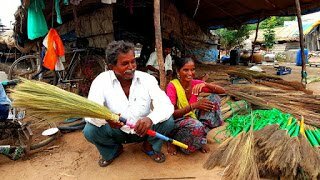 3000/- per month by doing his tranditional business of making and selling brooms. 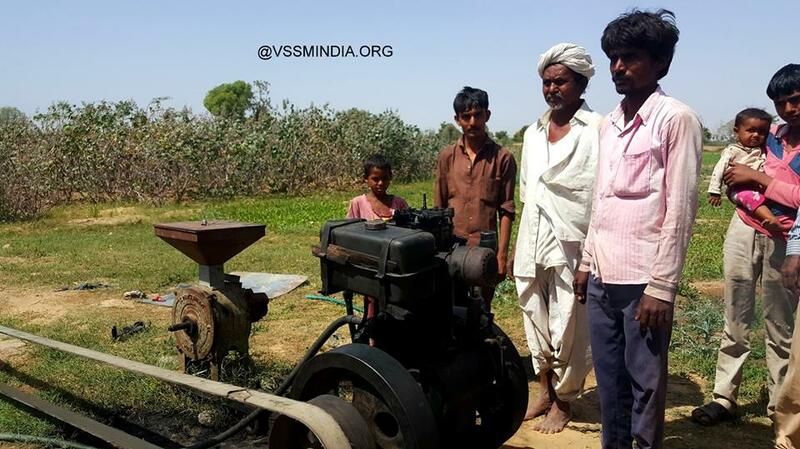 Success story of VSSM livelihood Programme: Transformation in Batukbhai's Life. 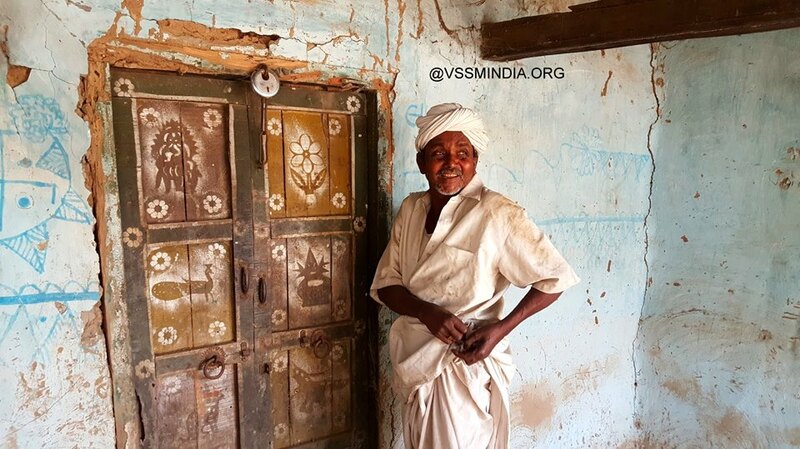 Success story of VSSM livelihood Programme: Transformation in Pratapbhai Vansfoda's Life. Success story of VSSM livelihood Programme: Transformation in Gulabbhaii's Life. Dungarbhai Marwadi Devipoojak (Bawri) learnt financial planning and earned through VSSM interest free loan. Success story of VSSM livelihood Programme: Transformation in Jivabhai’s Life. 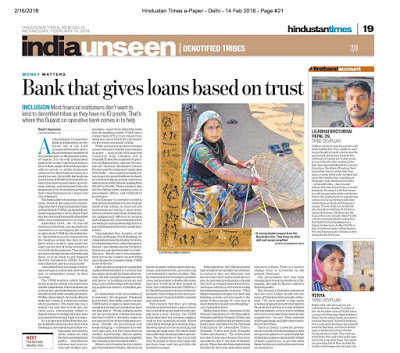 A leading newspaper Hindustan Times recognizes VSSM and its humanitarian efforts for NT-DNTs.. 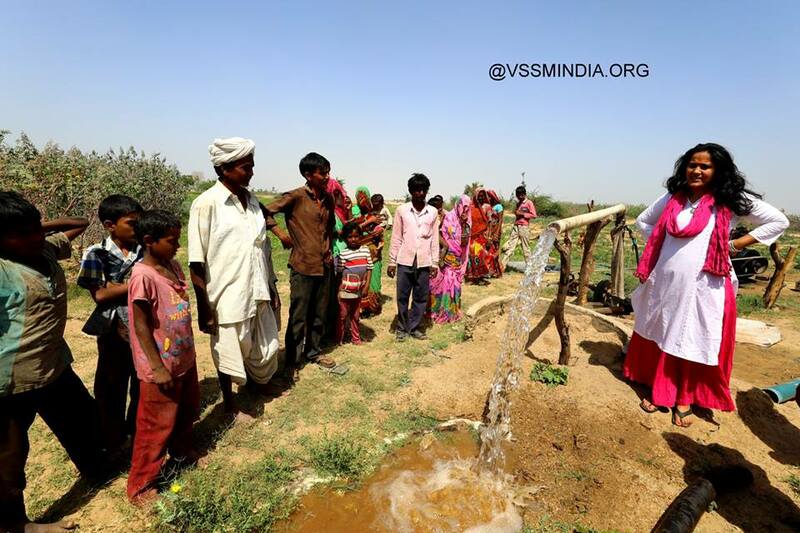 Without VSSM we would have never dreamt of living like humans….